A tidal tributary of the Thames, Deptford Creek is one of London’s hidden green gems. The Creek is a haven for hundreds of fresh and saltwater plants and animals. One of London’s most historic waterways, where the past flows into the present. 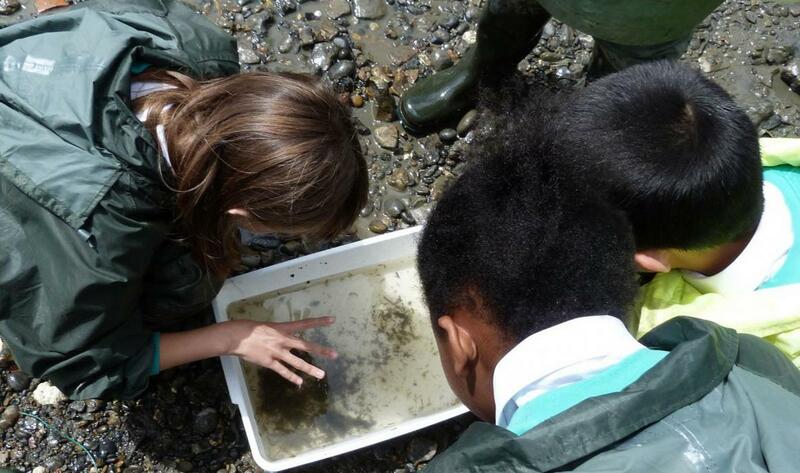 The Creekside Centre offers organised visits for groups from all areas of education. A major attraction is our unique Creek access, but we are able to provide a range of sessions that do not depend on low tide access. Students can explore the wildlife, history and geography of the Creek. The sessions are designed to be fun and exciting as well as meeting curriculum / course requirements. Please contact THEM to arrange a free pre-visit for teachers.